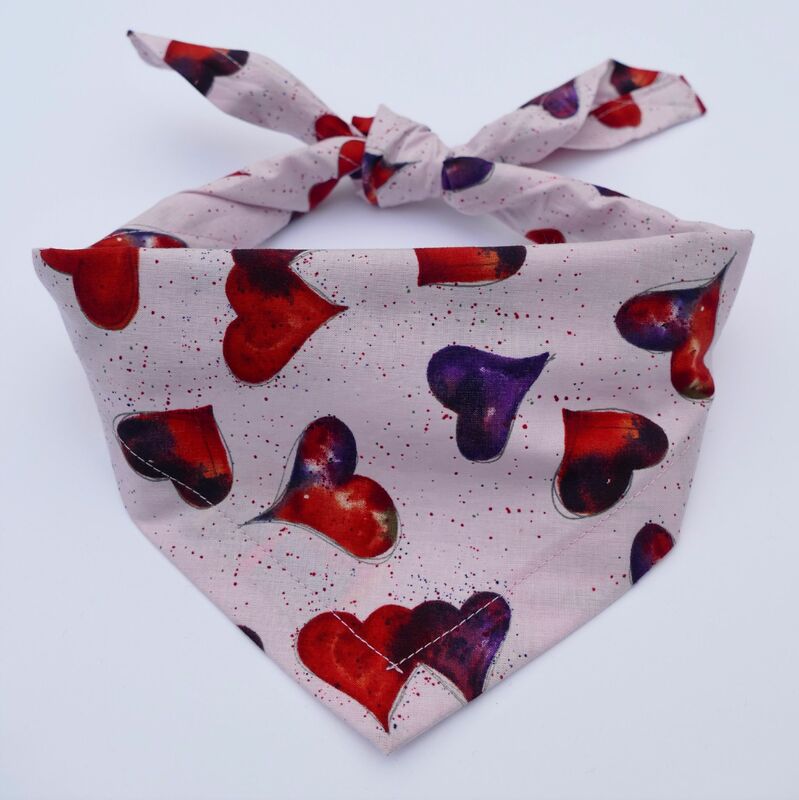 A beautiful Juicy Heart print dog bandana, perfect for your best doggy friends! 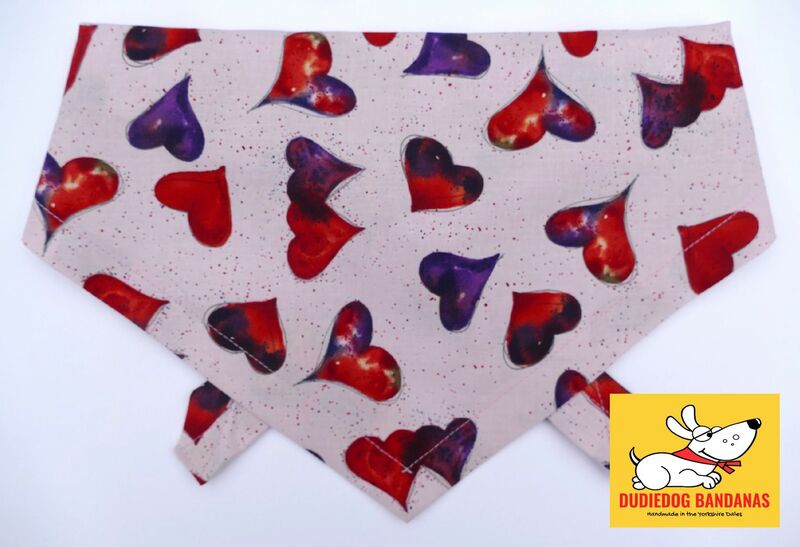 This lovely heart puppy/dog bandana has juicy red and purple hearts on a very pale dusky pink background. 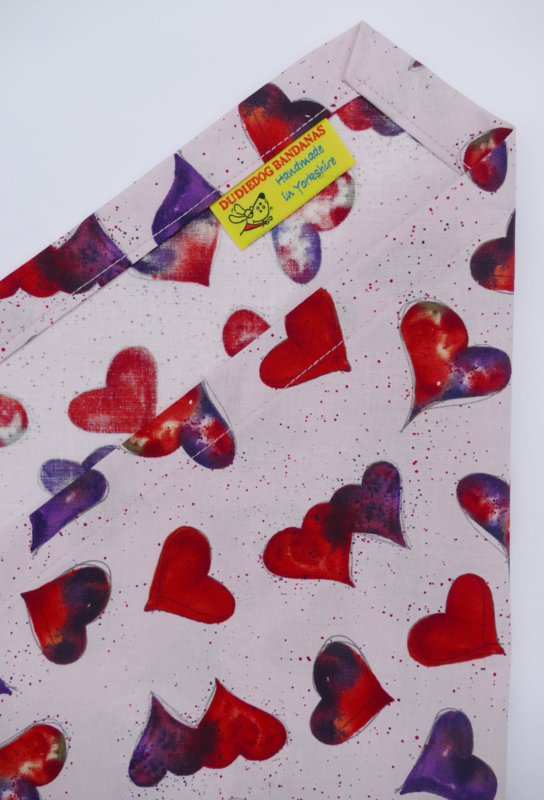 This is a luxury bandana, made from premium designer cotton. It's perfect for the fashion conscious, fun loving dog about town! (or country!! 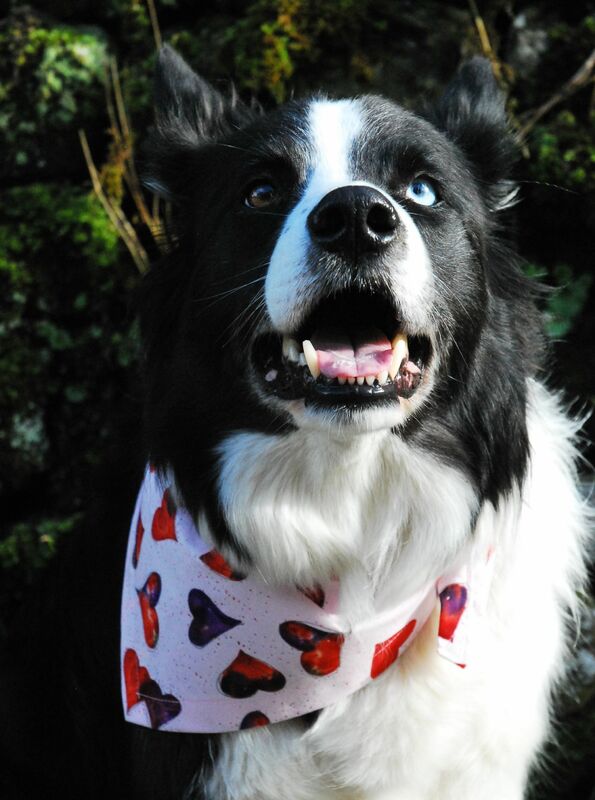 ), and is the perfect gift for your dog on Valentines Day, or at any time of year!